This analysis covers the four major emerging regions of the Middle East and Africa, Latin America, Eastern Europe, and Asia-Pacific. 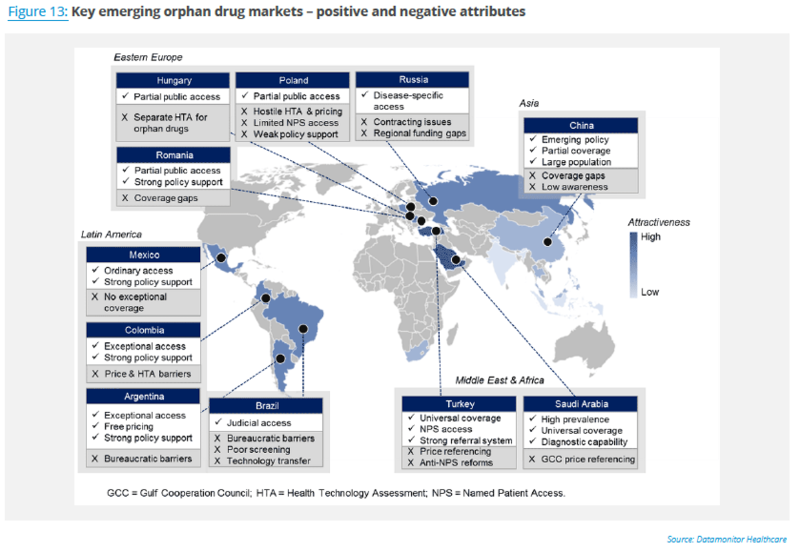 Within these regions, relatively wealthier markets with a proven marketplace for orphan medicines have been prioritized. This analysis covers the four major emerging regions of the Middle East and Africa, Latin America, Eastern Europe, and Asia-Pacific. Within these regions, relatively wealthier markets with a proven marketplace for orphan medicines have been prioritized. The topic focus is on rare-disease policy, access, and pricing, as well as the stakeholder landscape for low-prevalence disorders and orphan drugs. For the purposes of this analysis, local definitions for rare disease were used where available, as well as conventional definitions of both “ultra-orphan” disorders and rare tumor types. The insights in this analysis are aimed at a general audience within the market access and pricing field, with a limited amount of disease-specific information. 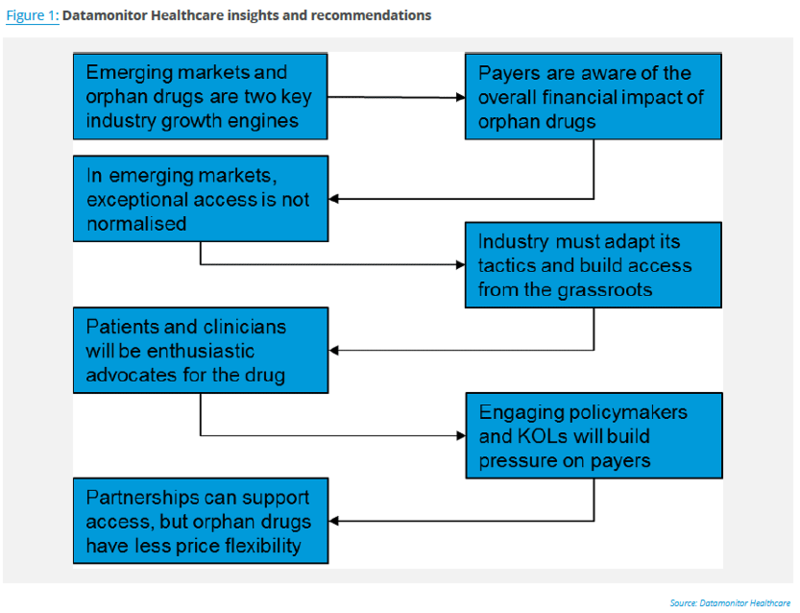 In this review, key market access customers for rare diseases in 20 emerging markets have been analyzed, as well as pricing and funding pathways where these specifically relate to orphan drugs. Launch of multiple IL inhibitors with impressive efficacy has significantly reduced unmet need in the disease, and also provided payers with leverage in price negotiations as they seek to control growing treatment cost. This report provides an in-depth analysis of the market access climate in emerging pharmaceutical markets. Focusing in particular on the E7 countries (Brazil, Russia, India, China, Mexico, Indonesia, and Turkey), it charts recent developments, assesses their potential impact on market access, and pinpoints areas in which further change is anticipated. A US expert in pediatric epilepsy provides insight into the approach to treating different forms of epilepsy. The key opinion leader (KOL) dives into the late-phase pipeline for epilepsy, as well as sharing insight into Epidiolex.